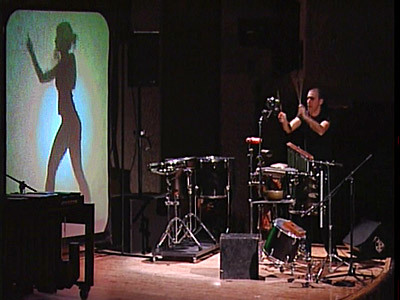 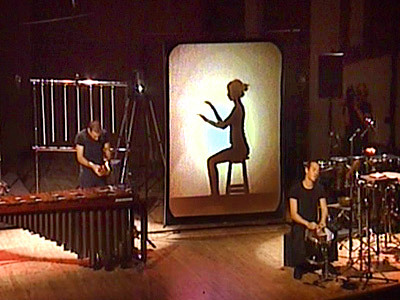 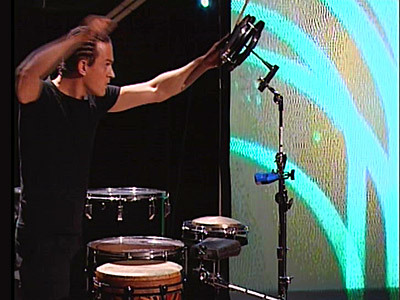 An audiovisual performance which is a collaboration between the two percussionists ‘Percadu’, the compositor Yechezkel Raz and Shual. 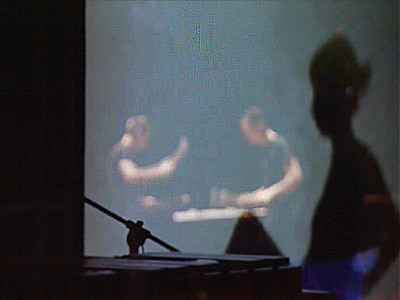 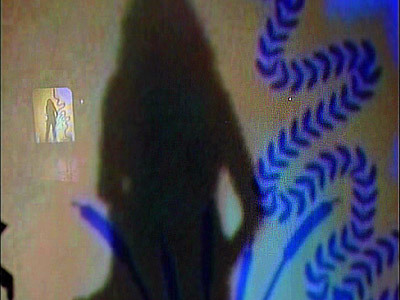 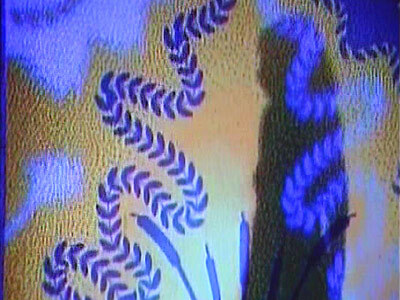 In the show, premiered in the Israel Festival, two screens present the projection of a women’s image occupied in private, domestic metaphysic activity involving the imaginary ocean between the two screens. 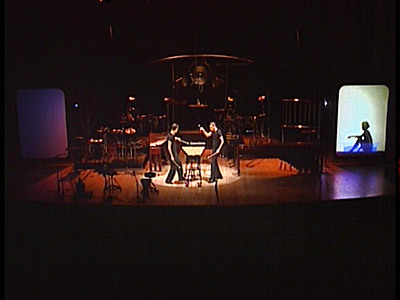 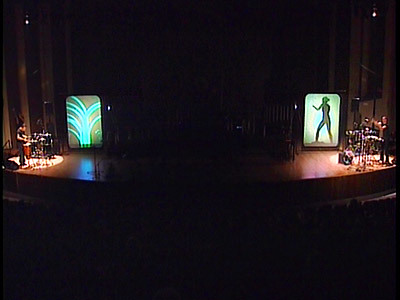 The image responded visually to the electronic track of the piece and contradicted the muscular presence of the two musicians on the stage.